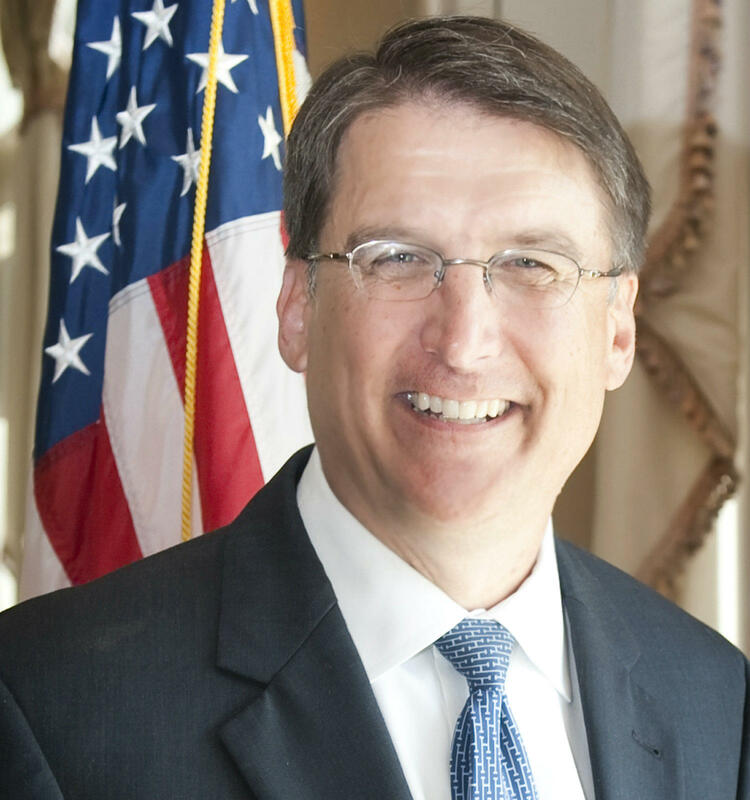 North Carolina is now under the leadership of the newly elected Governor, Republican Pat McCrory. Last Saturday, He was sworn in at the Old Senate Chamber in Raleigh. He didn’t waste any time getting to work. On his first official day in office, McCrory signed an executive order that dissolves a non-partisan commission formed by former Gov. Beverly Perdue that nominates appeals and superior court judges for judicial positions. Gov. McCrory also announced three new appointments to his staff: Chris Estes will serve as the state’s new chief of information officer, Fred Steen will be his legislative liaison, and Tony Almedia was named the governor’s top economic advisor. The state's 74th governor spent the first half of this week traveling around the State and meeting with local and state elected officials to hear their concerns and ideas to improve North Carolina’s economy, education system and infrastructure. On Tuesday, the Governor made stops in Greensboro and New Bern as part of his statewide inauguration celebration tour. He spent his time in New Bern meeting constituents and hearing their concerns. In a brief interview with McCrory, he said getting North Carolina’s struggling economy back on track is his main concern. Currently, North Carolina is ranked fifth in the nation for the highest unemployment rate though Gov. McCrory didn’t offer any concrete solution on how he plans to reenergize the economy. During the interview, he did mention other short term goals and challenges - such as solving the passenger ferry toll increase. During the inauguration celebration tour, McCrory said he’d like see a voter identification bill on his desk requiring identification such as voter registration cards or other required identification in order to cast a ballot in person. While at Tryon Palace, he also briefly mentioned changes to the school year calendar. McCrory also held a closed door meeting with local, county and state officials where he listened to their concerns and shared his plan on issues like protecting military installations, the future of the state’s agriculture industry, and the ports in Morehead City and Wilmington. He also took a private tour of Tryon Palace, which served as the state’s capital until 1794. At 6pm on Tuesday, he gave a speech to a crowd of about 250 people at the Tryon Palace History Center where he promised this wouldn’t be his only visit to eastern North Carolina. The former Charlotte mayor wrapped up the statewide inaugural celebration tour with a stop in the “Queen City” on Wednesday. The official inauguration ceremony takes place Saturday night at the Raleigh Convention Center. I’m Jared Brumbaugh.